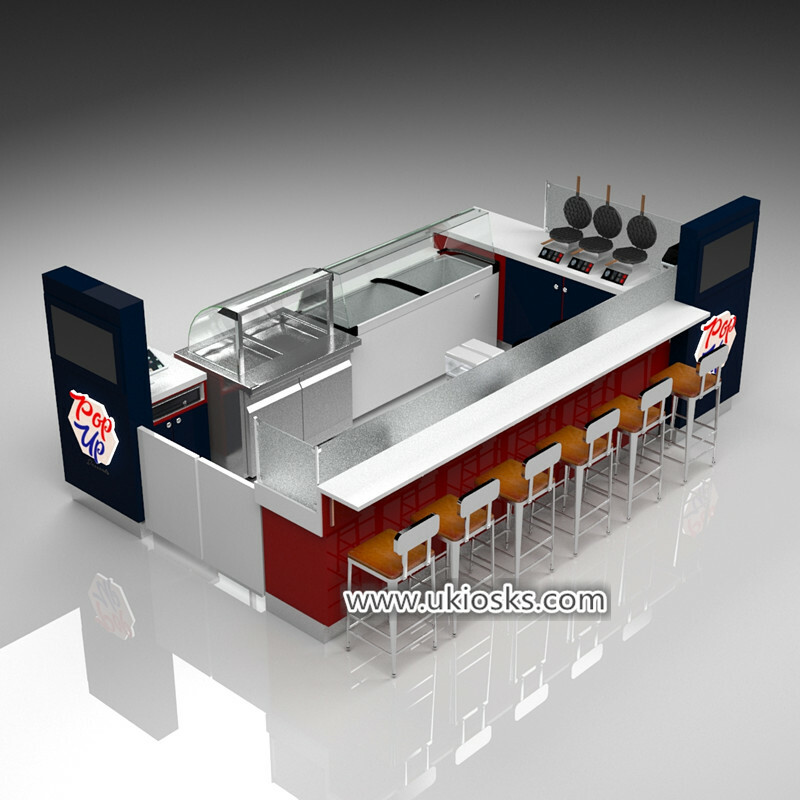 Hello everyone , warm welcome visit our page .today i wanna introduce a popular ice cream kiosk for your meet . it’s very modern and simple . let’s see more details together at below . I believe that when you first see this cabinet, you will be deeply attracted to it. whole shop is very simple and graceful ，Use blue as the main tone, with a little red and white, very high-end atmosphere . basic material is fire retardant MDF , surface is baking painting finished , white man made stone worktop. . stainless steel toe kick on the kiosk bottom . 2. 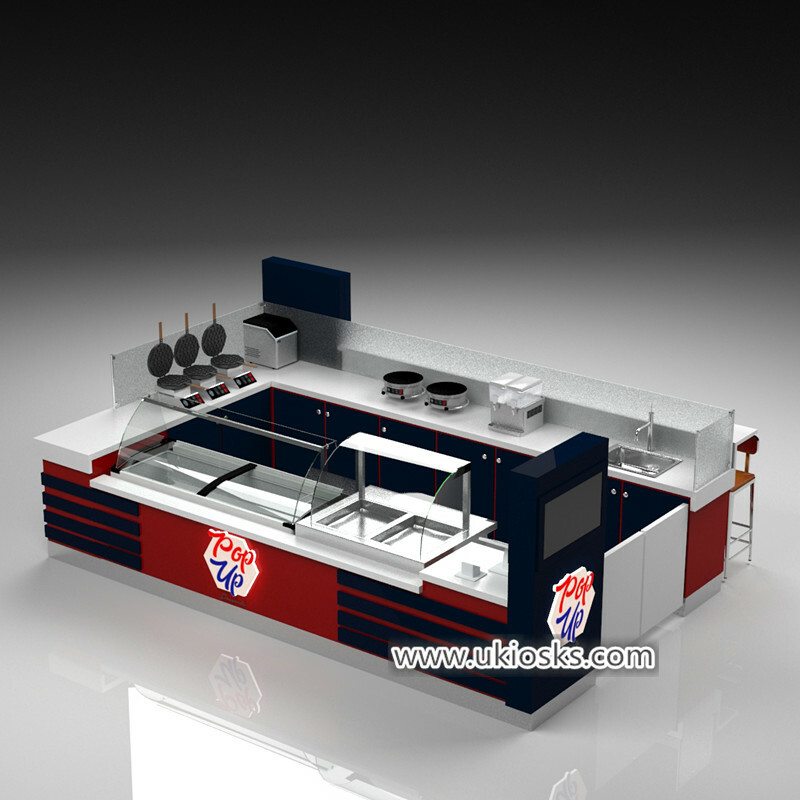 How can i customized a ice cream kiosk this one ? As you know we are a direct factory mainly do customized , so ,all of anything about this kiosk can customized for you , so , before build this kiosk, we wil confirmed the below information . such as this kiosk size is 4m by 3m , But this is not a uniform standard , it depend on your location space size .Even if your position is an irregular space, we can customize a comfortable kiosk for you . 3. How can I order one fried ice cream kiosk design ? 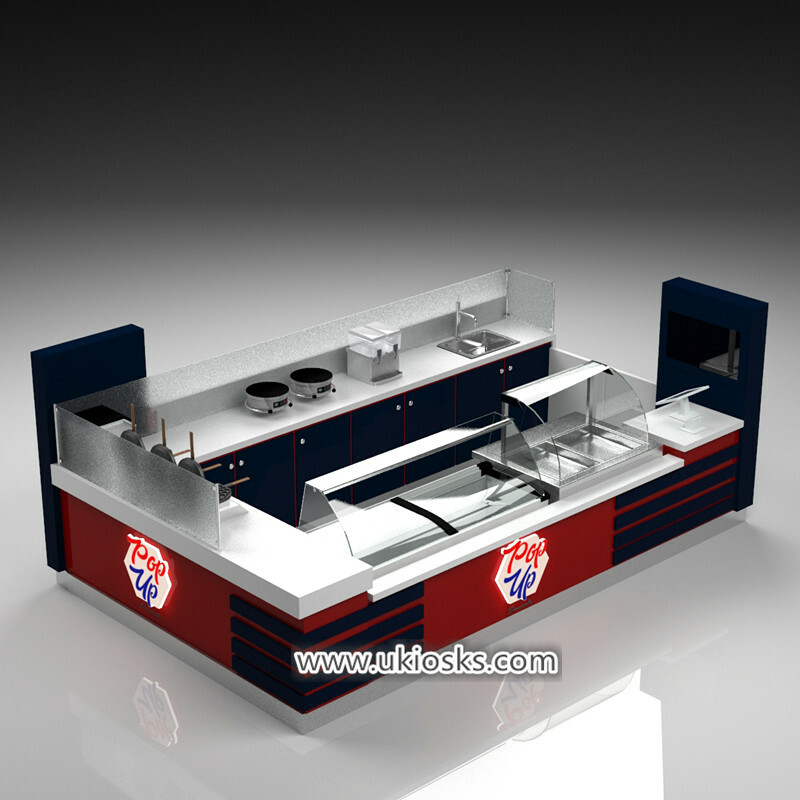 1-Contact our sales to discuss your specific requirement regarding the fried ice cream kiosk design. 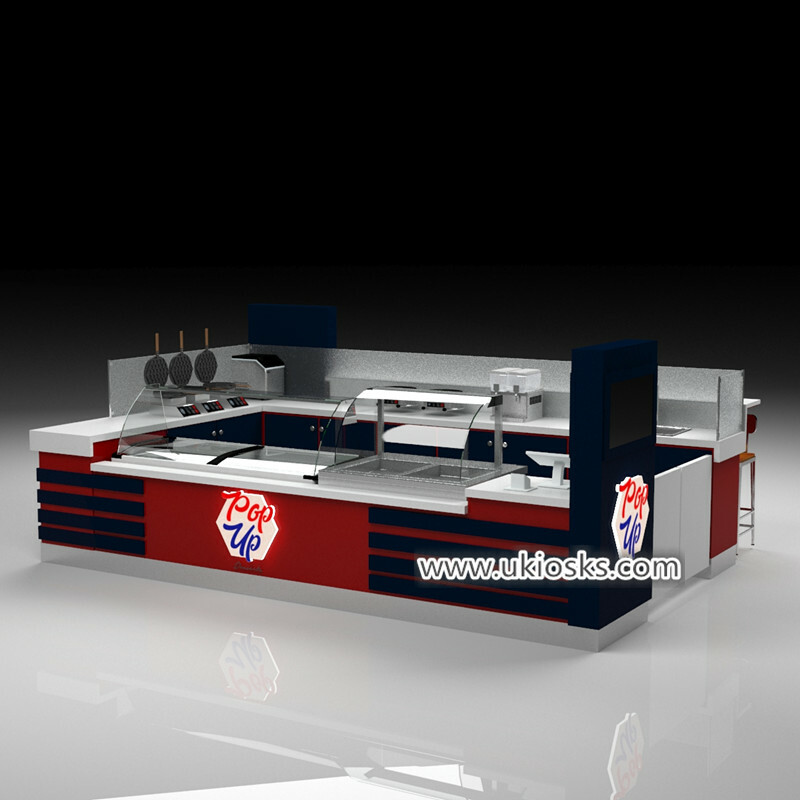 Thanks for your time and reading , if you need more further info about this ice cream kiosk , pls feel free to contact us , thank you !